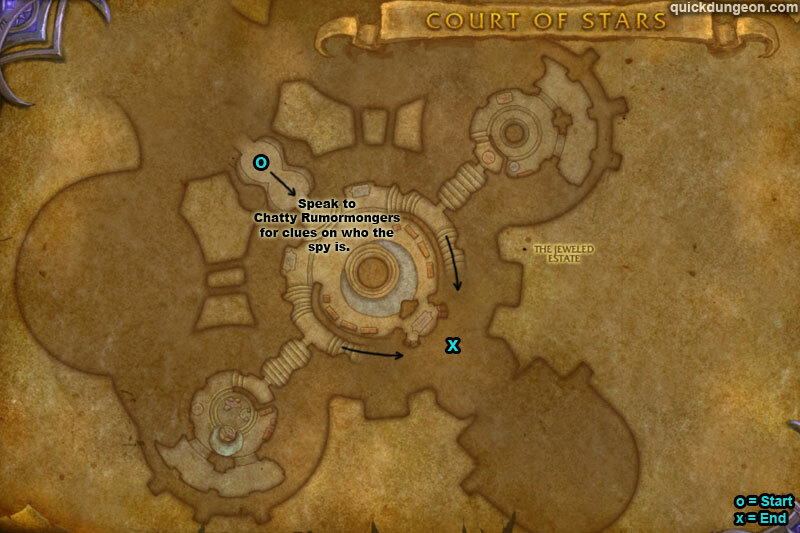 You can find the Court of Stars dungeon entrance within Suramar, The Broken Isles. 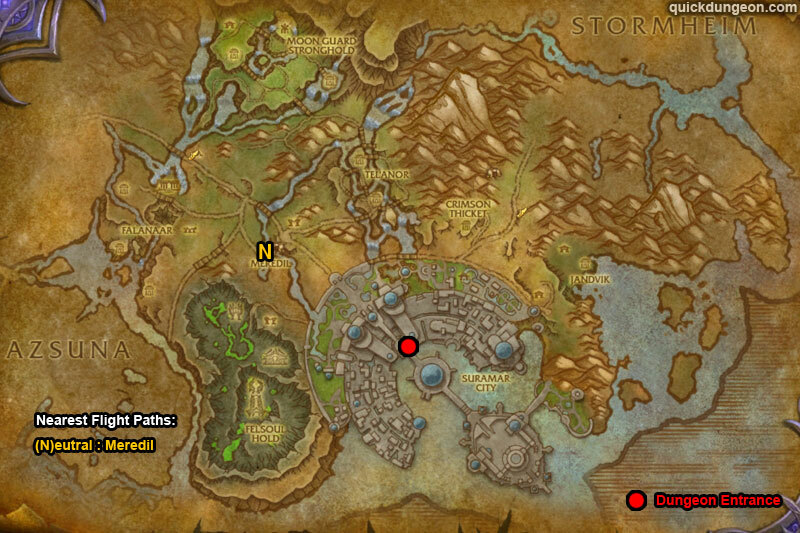 Duskwatch Sentrys run to alert other mobs using ‘Arcane Beacon’, focus kill them (you can also disable the beacons). 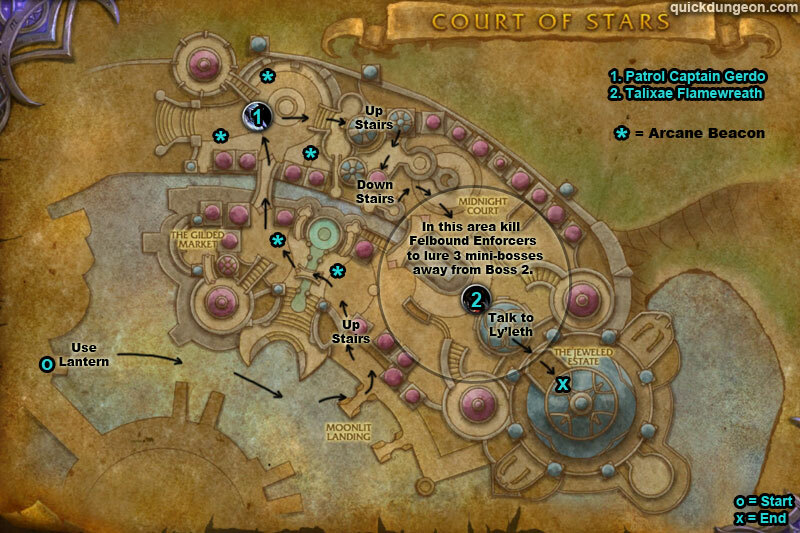 Felbound Enforcers can be seen on the minimap as yellow dots. 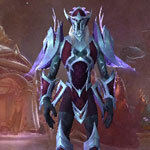 Once 2nd boss is dead speak to Ly’leth to get a disguise. /i Avoid double cone Resonant Slash (front & back of boss). 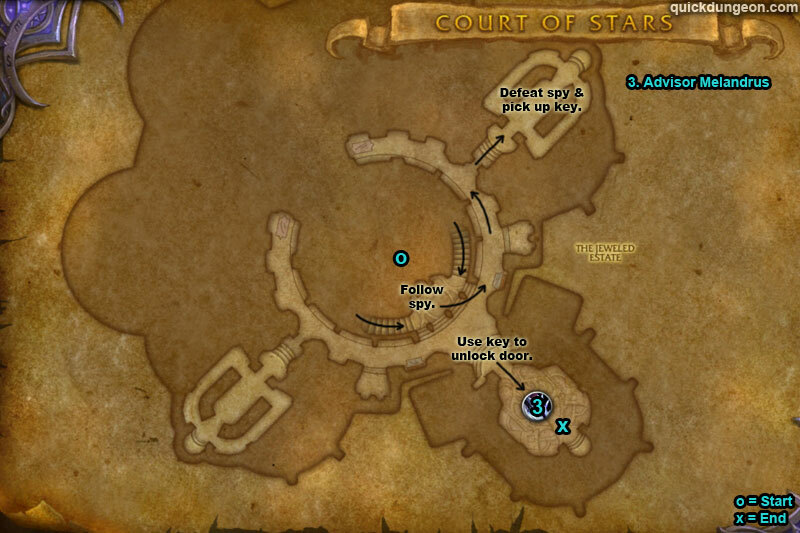 Arcane Lockdown (3stack debuff) is applied to all players, jump 3 times to remove stacks. Focus kill adds. Avoid blast line from Streetsweeper. Boss drinks flask for 30% buffs. 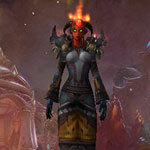 /i Burning Intensity deals ticking damage to whole group & increases damage she does with fire attacks. Avoid red swirls (Infernal Eruption) on ground, focus kill imps. 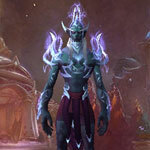 Dispel Withering Soul from tank first, reduces max health & movement (this stacks). /i Charges at a player with Blade Surge, this leaves a mirror image of himself which copies his attacks for whole fight. Move out of line of wind (Piercing Gale). Avoid moving winds on ground. Heal through Slicing Maelstrom (does more damage with mirror images).